Donate Life Month #TouchedByTransplant Contest! 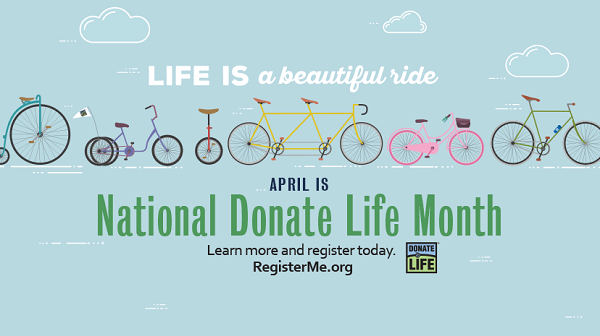 It’s the start of one of our favorite months of the year: National Donate Life Month! Every April, we join families across the country in celebrating how organ donation saves lives and transforms futures. 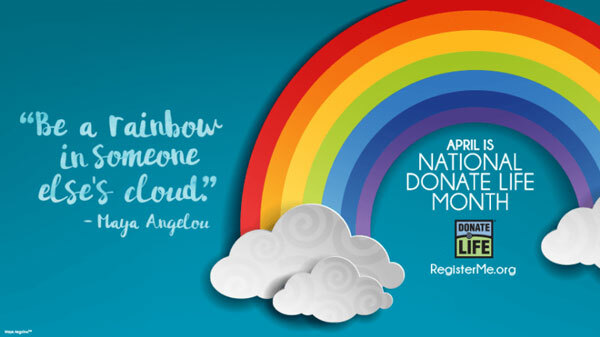 The 2018 Donate Life Month theme recognizes how organ donors become “a rainbow in someone else’s cloud” by creating a bridge between one family’s mourning and another’s healing. “It takes both light and rain to create the gift of a rainbow” – the same can be said for the gift of life. 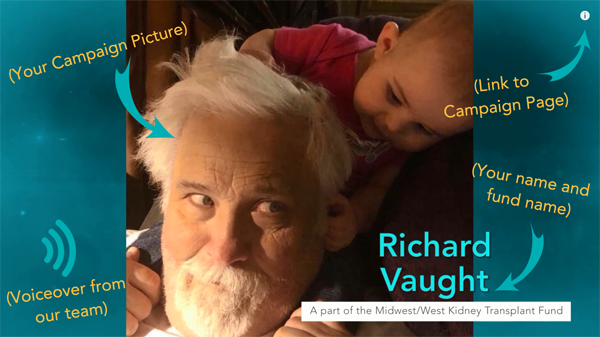 All month long, we’ll be sharing your organ donation stories through our Touched By Transplant series on this blog. Whether you are pre- or post-transplant, we want to hear about your experiences and see the images that represent your journey. Submit your story on or before April 20 for your chance to win a special gift pack from Help Hope Live and have your campaign featured on the homepage of our new website! Click or tap below to send us your story and photos today. Need some inspiration? Read past Touched By Transplant submissions on our website. Are You Planning to Attend the 2018 Transplant Games? The Transplant Games of America is an athletic festival and meet-up opportunity for transplant recipients, living donors, and donor families. 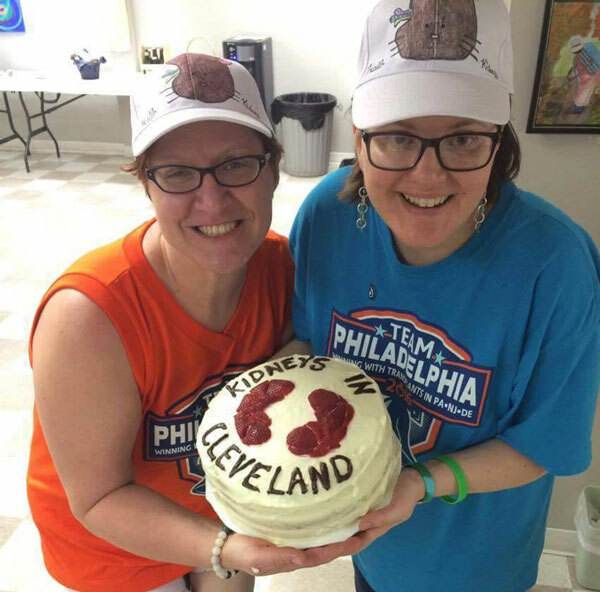 Help Hope Live client Liz Casperite, right, and her living kidney donor, Maria, called their trip to the 2016 Transplant Games "inspiring". The 2018 Transplant Games will take place August 2-7 in Salt Lake City. If you are planning to participate, we want to cheer you on! Send us a note with the name of your team and the events you’ll be competing in – we may even meet you there! 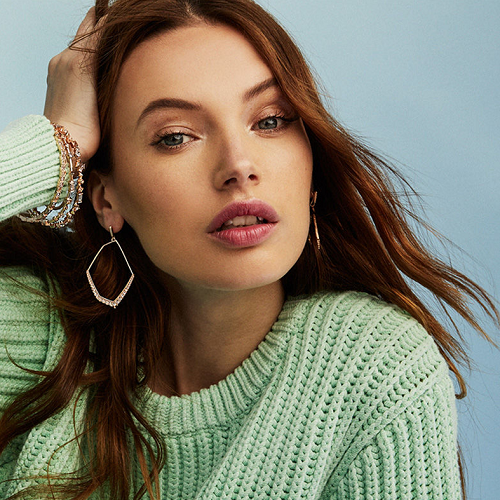 Spring is a time for new beginnings. Did you or someone you love recently receive the gift of life? We recognize transplant recipients every month on our website. Check out our February and March transplant families and let us know if we missed your milestone. Congratulations on beginning your post-transplant recovery journey! Here’s hoping April showers bring May flowers (and lots of rainbows!). Happy spring! Personalized Fundraising Videos Are Here! Have You Been Touched By Transplant? Enter Our Contest!